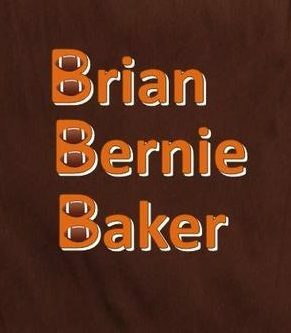 In this year of OK (Our Kosar), 2019, the most hopefully-anointed Browns franchise quarterback since Boy Bernie from Boardman is today’s darlin’ Baker Mayfield. Dorsey’s signature decision, and Harvey’s hero already, the OK gunslinger stands ready to chipperly shoulder Cleveland’s football expectations. And, really, those expectations! Those collective hopes for football deliverance — a burden bulkier than Brady Quinn, causing overgrown men like Brandon Weeden to take cover and undergrown ones like JFF to take flight in the guise of blonde Billy! The Browns — dynastic, then dashed, departed, and reborn undead — are so overdue for another title that the team doc might as well lace the locker room drinking fountains with Pitocin. OK, then. OK, Our Kosar, 2019. He wore 20 at Miami, 19 as a Brown. Keep up please. Recall Bernie’s rookie year of 1985, when an injury to the newly-acquired vet Gary Danielson put the curly-headed heir apparent at the helm of a team that surprisingly won the division and sported an overall record a just shade south of .500. See any connection to what happened here last year? So let’s follow this thread through. The next season, 1986, was arguably the best of Kosar’s career and maybe even the Browns’ finest regular season showing since joining the NFL. 1 + 9 + 8 + 6 = 24. Numerology, huh? Weak sauce, dude. Arghh, rogue subheditor strikes again. Nevertheless, lemme stir the pot further. It’s one of the psychological binds implicit in Browns fandom that even when optimism runs high, hearts are guarded. Sometimes we guard our hearts by repudiating the expressed hopes of fellow fans, as if our cynicism were somehow savvy. As if we could jinx ourselves into a worse curse. What is a “realistic” expectation for next season? One could say that nothing about the future is realistic because it has yet to unfold. So we search the past for patterns. We predict, We seek the wisdom of crowds. And we retweet soundbites from sages. I see the Browns moving up the oddsmakers’ charts with a bullet. Depending on the date and your source, the Browns’ odds to win Super Bowl LIV are as strong as anyone’s in the AFC North. Likelier than the average team, in fact. That means a lot of real money is backing the notion that a franchise that bottomed out so completely so recently will hoist the Lombardi this time next year with a rookie head coach and quarterback with more attitude than altitude. But that’s OK.
That’s our Baker, on the rise, bringing the heat, rolling in the dough, comfortable with Kitchens. Now that we truly have a franchise quarterback, it’s too soon to say 2019 won’t be that year. And you can bet we won’t miss a minute. This entry was posted in fan focus, frivolity on February 11, 2019 by Dave Algase.